A powerful, multi-function website that can cater to a wide range of needs is what was required for this high traffic website. 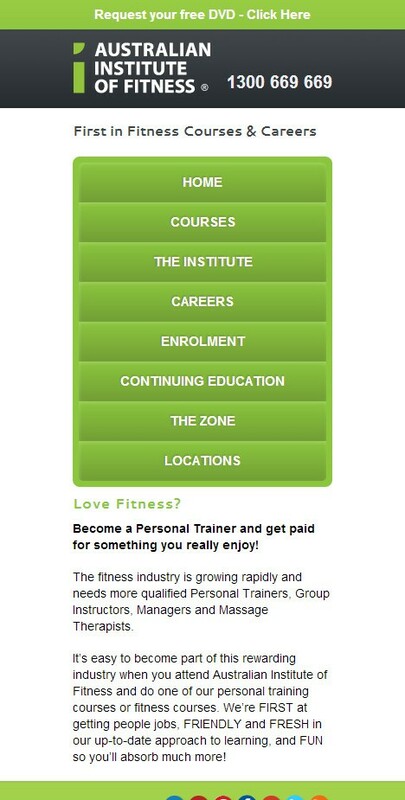 As Australia’s leading provider of fitness courses and careers, this site required a number of unique features, including an online eCampus, jobs board, enrolment function and social media integration. Seamless responsive design also allows students to find information and study on the go.